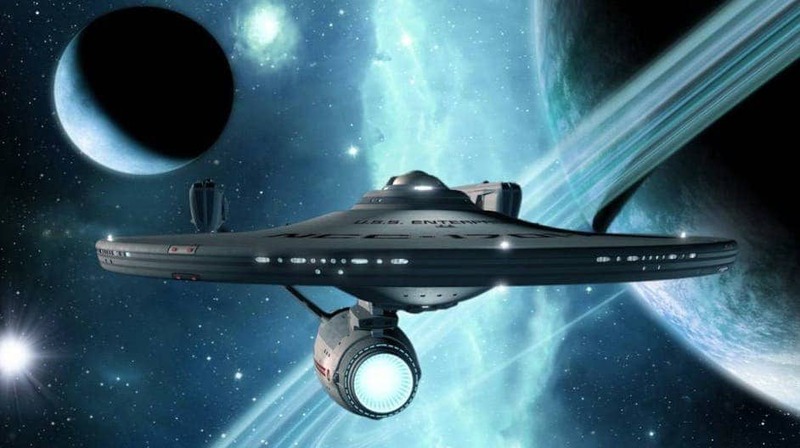 Someday, in the next 100 years, Star Trek’s Enterprise might pass to the realm of reality. This weekend one of the most fascinating symposiums of the year will take place in Orlando, Fla, where apparently “nut-case” scientists will seriously take key and discuss subjects like warp interstellar travel, terraforming planets in our solar system and beyond, as well as many other subjects taken off science fiction novels – for now, at least. The event called the “100-Year Starship Symposium” and sponsored by NASA and DARPA, will host for three days scientists from universities, NASA centers and private institutions who will discuss far-out ideas for building a spaceship to visit another star. It’s expected that next year, the Voyager-1 spacecraft will become the first man-made object to leave the solar system in an important milestone for mankind. To exit the solar system’s inner boundaries, however, the spacecraft had to travel more than 30 years since it left Earth. The nearest known star to our solar system is Alpha Centauri, just four light years away. It’s evident, though, that a spacecraft traveling by conventional means will need a lot more than four years to reach its destination, it’s enough to study Voyager. These are present limitations, NASA and the Defense Advanced Research Projects Agency, like to look at the future otherwise, and such have pledged $1 million for funding of the 100-Year Starship Study, which involves contemplating technologies and organizational strategies that could enable an interstellar mission to launch within 100 years. Sure, $1 million might seem like a small sum, but considering the outworldly conference and tight budget, it’s still significant. It’s enough to remember how small initial investments from NASA and DARPRA in the past have ultimately lead to incredible features we use on a 78 day to day basis, such as the internet and GPS technology. Notable personalities from the scientific and science fiction community present at this weekend’s symposium include Jill Tarter from the SETI Institute and former NASA astronaut Mae Jemison, as well as science-fiction authors such as Stephen Baxter, Robert J. Sawyer and Elizabeth Bear.